With his military service set to start shortly, it's time to bid farewell to one of BW's most consistent and best Zergs in the post-KeSPA era. His trip into BW starting over a decade ago during the KeSPA era, hero has slowly differentiated himself from the rest, beating players, and winning games and series even when he was counted out. With the desire to show his best form and stand at the top, Hero eventually eclipsed his previous form and made a large mark on the current scene with his work ethic and motivation. 1) despite not having a flashy style, rocks 400-500 APM and optimizes builds for himself much like Flash does. 2) has a monstrous ZvP and who has constantly refined his ZvT through years of hard work and effort. 3) has a magical ability to make more hydras in ZvP than anyone else which has stumped even fellow Zergs. 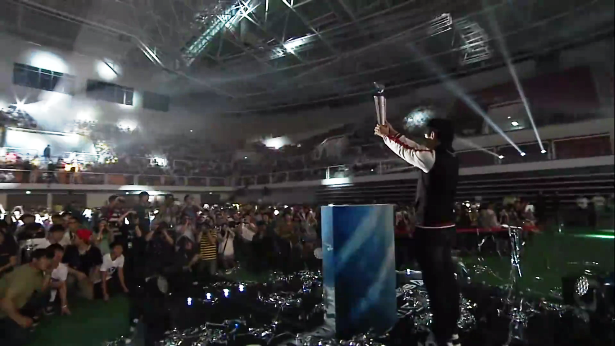 4) has won and had high placements in offline tournaments, including SonicTV BJ Starleague (SSL) and ASL. With his earliest record dating back to 2007, hero took part in several tournaments such as Batoo OSL, GOM Classic, Lost Saga MSL, Bacchus OSL and others. He ended up beating many players such as Boxer, GoRush, Jangbi, Leta etc.. Playing for STX SouL, which had Kal and Calm as their backbone, hero was dubbed Neo July after being greatly influenced by JulyZerg and played second fiddle in Proleague during the early days. He slowly worked on his skills and stacked up more Proleague wins as the years went by. Eventually, he also became known as a ZvP specialist with dedicated practice. During the KeSPA days, the concept seemed to be lacking. In my case, I faced protoss mainly on the team, and I could not face much terran and zerg. He eventually got some recognition for his skills after beating Bisu, 2-0 in the Ro32 of the 2008 Batoo OSL and climbed all the way to the semifinals by first surviving a group of Fantasy, Leta and Tester then by beating Hwasin in a Bo3 series. There he was eliminated by an in-form Jaedong, 3-0. The rest of his years during this era and on STX SouL were pretty uneventful with an overall Proleague record of 30-40 or 43% over a course of six years. Now, let's take a look at what hero has accomplished since his return to the scene. For the purpose of this writeup, the different eras will be discussed separately, and an offline tournament is considered any tournament where the players play in a booth and/or in-front of an audience. With the major BW tournaments shutting down and Proleague switching to Starcraft II, hero had a brief stint in that game before eventually coming back to BW during the building phase; a time when it was every man for himself and players had to showcase their BW skills and personality in order to try and earn an income so that they can continue playing the game they love. In the early days, hero shone brighter than most with his online and offline results. Notice that despite being eraser-ed, dropped and attacked all over the place, he never relents, and keeps on trying to divide his units appropriately so that he can deal with the threat efficiently. He kept looking for opportunities to counter attack as well such as dropping cracklings into the back base, and fought with such intensity against a macro beast and someone who understands the matchup well to take quite the thriller on Loki, a terran-favoured map. There was a heavier emphasis on online tournaments in 2012 and onwards as a platform for players and as a way of providing BW for the viewers while lowering overhead costs. During this period, Sonic used to run online tournaments that featured a lot of ex-pros who came back and which became larger and more complex as time passed. They were aptly named the SOSPA Ranking Tournaments or SRT for short. Early editions ran for several days while later tournaments ran for close to a month as more games were played to determine the victor. Other organizers also ran their own tournaments including, but not limited to LoveTV, 41.pose, CabbageTV, and ZeuS. Hero entered the scene towards the end of 2012 and started participated in online tournaments from the 10th SRT onwards. He finished in the top third or fourth in 6 out of 7 SRTs, only missing to get far in a single SRT in 2012/13. He continued this trend throughout 2014 as he took second, third or fourth place in other online tournaments as well. While it's true that hero never managed to win any of these tournaments with first place somehow eluding him in every single one, finishing near the top of the pack so consistently when facing off against other players who have extensive BW experience is no easy feat and is a testament of his abilities. As the years continued, he still placed well enough in some online tournaments, but with less consistency. By then, the scene was becoming really competitive with even more ex-pros coming back. However, hero's focus was likely on the bigger tournaments. Namely, the offline tournaments, such as SSL which was starting to become prestigious and the HungryApp Starz League with Kongdoo (KSL) which ran in the beginning of 2015. The graph below shows a sharp nosedive in the amount of online tournament games that he played which can be due to various reasons such as 1) less tournaments, 2) less invitations, 3) didn't make it far, or 4) he didn't participate for other reasons. He started off with 39 games when he came back, peaked at 180 in 2013 then down to 99 in 2015. SOSPA and everything it encompassed ended around the middle of 2015 and it seems that the amount dropped with it, down to 33 in 2016 to a mere 7 in 2017, and nothing in 2018. 2016 also marked the start of the Afreeca Era with ASL and 2017 was a busy year full of many offline tournaments, including the tail end of ASL2, ASL3, ASL4, Afreeca Team Battle (ATB), and SSL Classic. So, how did he fare against the opposition online? The graph below depicts his online tournament winrate against the other races from 2012 till the end of 2015. Later dates are not included due to the lack of a large enough sample size. He fared pretty well overall with a winrate of ~56% by 2015. That seems about average, however, his Terran winrate dragged him down. His Terran winrate was about ~45% in 2013 and slightly increased to ~48% by 2015. Not a significant increase per se while his Zerg winrate fluctuated heavily through the years going down to 40% in 2013 before increasing to ~63% in 2015. His best matchup, ZvP was his saving grace and was always above 60%, peaking at ~69% in 2013 before settling at 61% in 2015. Essentially, a ZvP specialist with a fluctuating ZvZ form and an average ZvT! During the Sonic era where Killer was at his peak winning back to back SSLs and facing off against Sea in a lot of back to back online tournaments, hero was already contending for the second best Zerg at the time. He was placing highly in a lot of different tournaments, and showing an extremely solid and consistent form that only several other players could ever strive for, and succeed in emulating. He would eventually pass Killer and become the best Zerg in this era! Hero had some of his best results in this era which contained two great offline tournaments, SSL which was run by Sonic and KSL which was funded by Kongdoo. For details about the importance of the SSL and its prestige, please read Sonic's legacy: SSL's lasting impact. Hero's first incursion into SSL was back in the 8th edition in May 2013 and featured prominent players such as Killer, Movie, Sea and sSak. He managed to climb his way to the semifinals, but lost to HiyA in one of his worst matchups at the time, the dreaded ZvT. He ended up taking 4th place after losing to sSak, 1-2 in the third place match. A decent start for a returning player, however, his time in the limelight would peak by the time the Sonic era concluded. SSL9 was when it first began to click for our young Zerg where he finally got a taste of the stage that he so desperately wanted to stand on. After going through the group stage and the elimination round beating a line-up of diverse players in Pusan, Terror, Modesty, Movie and Mong, hero faced off against the ultimate boss, Bisu in the finals. A back and forth struggle ensued giving us an extremely memorable series. Alas, hero missed taking first place yet again and was narrowly defeated by Bisu who opened with a 1 base build on Sniper Ridge. He didn't fare well in the next SSL, SSL10 where he was knocked out in the Ro16 by Sea.KH who played one of the best games of his lifetime, but ended up making the semifinals in KSL before being knocked out by the eventual champion Mind, beating Hiya, Jaehoon and free on the way. With SSL11 commencing in the middle of 2015, he got another chance at the title and made sure to pay his opponents back several folds. He plowed through Olympus, Iris, Hiya, Larva, Bisu, Mong and free dropping only a single game before he got another shot at Bisu on the grand stage. Only this time, he prepared hard and dismantled Bisu, much to the dismay of his supporters, in a one-sided finals to take his first title home! The first Zerg winner since Killer's back to back SSLs and against the best PvZer of all time! His overall winrate sat at ~65% in 2015, up from ~59% in 2013. His Terran winrate fluctuated a bit, starting at ~44% in 2013 and finishing at ~55%, slightly above average. Likewise, his Zerg winrate sat at ~43% in 2015, his worst matchup though he only played a total of 7 games that whole year which included a total of 4 offline tournaments, SSL10/SSL11/KSL/VANT. By far his best matchup, his Protoss winrate sat at a phenomenal ~81%, up from ~75% in 2013 and included victims such as free, Bisu and Movie. In comparison to his online results, it seems that hero plays better overall offline. His Protoss winrate was notably higher, a 20% increase while his Terran winrate was up by ~7%. His Zerg winrate was lower, however, he rarely faced other Zergs, not even registering a single ZvZ in 2014 for instance. Ironically, it would be the matchup that brings him to the ASL finals in the Afreeca era. The arrival of Flash, and shortly after the rest of TBLS as well as other players such as Rain and Soulkey ushered the start of a brand new era for BW. Hero continued showing his consistency in this era by qualifying for every single ASL since its inception despite the tough qualifiers that even veteran players have failed before. Likewise, he always made it out of group stages except in ASL3 where he was unfortunately eliminated in the Ro16 at the hands of Last and Jaedong. In other words, he's at least made the quarterfinals in 4 out of 5 ASLs which is impressive considering that ASL was extremely competitive and was now swarming with ex-pros. In ASL1 and ASL2, he was eliminated by Sea and Best in the quarterfinals, 2-3 and 1-3 respectively. However, he was the only Zerg to make the quarterfinals in the first ASL and he managed to beat some strong Terran players in Mong, Rush and Last along the way signaling that his ZvT has improved quite a bit since the earlier days. ASL4 was finally the tournament where hero had the breakthrough that he was looking for, though it was quite unexpected for the fans as hero eliminated his Zerg comrades along the way. Z vs Z timing and control is really important. First, I practiced collecting minerals using drones. What I felt through this practice was that the basics are very important. During the league, the players seemed to have a hard time making predictions when I changed my play style even a little bit. I think practicing together with my colleagues was one of the biggest things that helped. Starting from the Ro16 where he was placed in an all Zerg group, he eliminated Shine and EffOrt then proceeded to eliminate both Soulkey and Larva in the quarterfinals and semifinals respectively in extremely close 3-2 series. Waiting for him in the finals was none other than Flash who had just finished defeating Bisu, 3-1 in the semifinals. Hero tried his best, but he could not defeat Flash who hero stated "had a faster timing and units with more energy and force." However, it wasn't all bad news. The first game of the finals showed hero's strong mentality which was something that Flash mentioned on his stream afterwards. After his greedy build was shut down hard due to a proxy rax, hero never gave up and stayed in the game to warm up and help himself relax. Despite being down by two games and facing Flash's mech in game 3 in a disadvantageous position, he rallied to win an amazing macro game on Gladiator where Flash fell apart to his drops and constant zerglings attacks. It was the first time in a while that Flash looked so mortal in a ZvT, especially one where things were going his way. When questioned about it, even hero himself believes that his ZvT has improved since the Sonic era, but he also believes that he is still lacking. He didn't perform as well as he wanted in the finals and "had some regrets" about it. Alas, when ASL5 rolled around and hero realized that this is his last chance to play games for the fans, he decided to go all in and practiced his heart out, playing the most sponmatches out of any player at the time. Seeded into the Ro16, hero ended up beating Best and Snow in the group stage before he had quite the crazy series against Mind in the quarterfinals. Despite Mind's strong bio play in the series, he hung on and won the last game to advance to the semifinals to face Rain. Unfortunately, that was the end of his run as Rain's strong form as well as the map pool were too much to handle. In the third place match, hero fought hard and somehow managed to overcome Mini completing a reverse sweep and giving us his last game, another gem on Third World. When all is said and done, hero took second and third place in the last two ASLs which is an impressive feat, especially considering that all his matchups were tested against strong opponents. The only other Zerg that has made the finals was Shine in ASL3. Based off of this, one can conclude that hero may even be the best Zerg at the moment. One thing is certain though, he's the most decorated one! His overall winrate sits at ~56%, a noticeable drop from the ~65% of 2015. 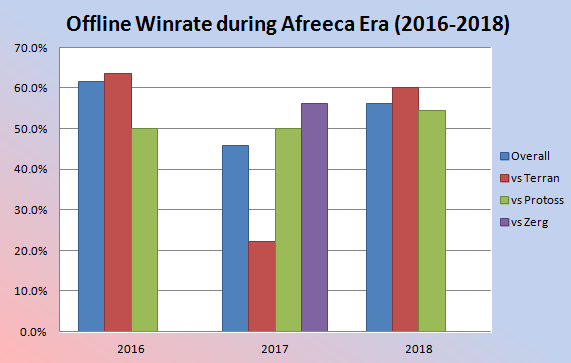 His other winrates fluctuated quite a bit with his Terran winrate dropping to an abysmal ~22% before it bounced back to 60%, but this was based off a small sample size. His Zerg winrate was non-existent for 2016 and 2018 since he never faced any Zergs offline and the only time he did was during 2017 and ASL4 where his winrate sat at ~56%. Finally, his Protoss winrate which was his saving grace during the Sonic era sat at 55%, up from 50% in the two previous years. In other words, hero's record might not be the most amazing, but it does show that with enough preparation and hard work, one can eek out wins and overcome most obstacles to reach their desired destination. I think it’s my style to expand to a close location like protoss, get rich and face my opponent. Details are scarce, however, according to Larva who seems to have more details, this build actually makes Circuit Breaker an imbalanced map. We have seen hero demonstrate this build as he took a close third base in his Gold Rush game against Flash in ASL4 and almost held Flash's push, so the build is definitely viable at the top level. 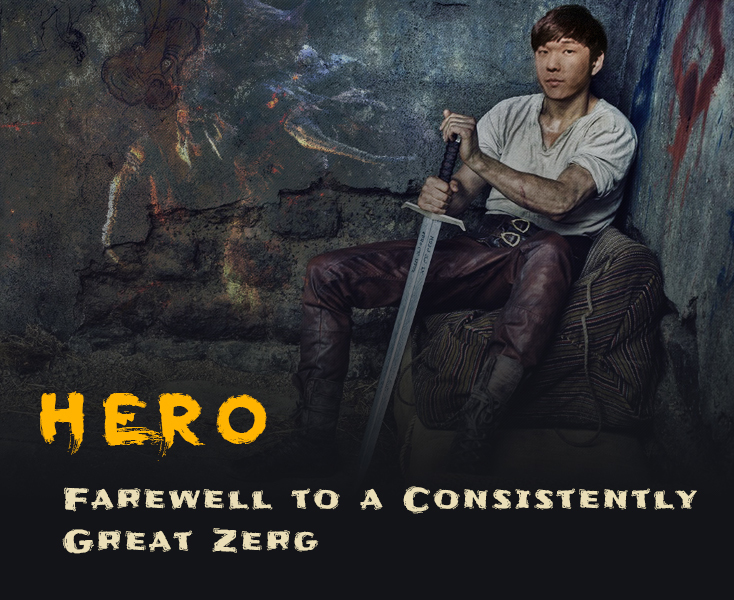 It remains to be seen which Zergs will use his optimized build once hero leaves for the military and just how big of an effect it'll have on the Zerg matchups. Could it actually tip things in Zerg's favour and lead to a Zerg renaissance? Hero's other achievement was being one of the only players to figure out a reasonable counter to Flash's 1-1-1 build. When Flash perfected the 1-1-1 build after the conclusion of ASL4, many strong Zergs fell in his path. To give an idea of how strong the build was, Flash had a winrate of ~78% against the top Zergs such as Soulkey, Larva, EffOrt, hero and Jaedong over a sample of 319 games. There was also a joke passed around that EffOrt stopped playing 1v1 and became a UMS player out of frustration. Q: Which of the Zergs do you think does the best job adjusting to the metagame changes? Flash: I think hero is that person for sure. Hero ended up bringing back the 2.5 hatchery or 18 hatchery build which relied on getting mutalisks around the timing of a 2 hatchery build to deny wraith scouting and give the Zerg the opportunity to pursue their desired path in secret. You can read much more details about the build at Flash's Starcraft Wakanda in Afreeca. It'll be interesting to see if the 2.5 hatchery build will be of use in the next ASL! In closing, farewell hero. You've accomplished a lot and have given plenty to the BW scene since your arrival back in 2012. I'm sure many await the day you return from the military so that you can confound us with your skills yet again! What a lovely surprise to find a dedication to such a great and underappreciated player. Watching his FPV years ago really helped me understand how important management skills are in long games between professional players. Great write up, but v1 should get a huge shoutout too for such an awesome graphic! With by.hero out, kwanro and killer gone we are finally missing those zergs that found dominance in the Sonic era. I really hope all three find their way back home in years to come. Thanks to all the contributors who keep making these articles look so damn good. The presentation is top notch. And with Hero's departure the light of StarCraft grows dimmer...Hero, my most favorite zerg by far, you will be missed. When does Bisu’s military service end? As a newer player I love these articles. Brood war has such a rich history and its great to learn more about such a great player. I look forward to his return! Goddamn you, compulsory military service, taking HerO from me!!! Excellent presentation, always enjoy these quality player profiles on here. definitely will miss him a lot! The pioneer for the zerg meta-game in the post-KeSPA era (with major contributions towards builds designed to combat gateway expansions and the 1-1-1 build), the most respectful and hard working streamer, and probably the most successful zerg player during the streaming era in offline tournaments. herO's contributions towards the scene after his retirement from professional play has been simply massive, and he will be missed. Very good write indeed! Farewell by.hero ! Great writeup! Waiting for the day he comes back from the military. Was there a similar article for Bisu? Will be missed, but he will be back, return of the hero, more of a military mastermind this time.